Warrendale (Detroit) Blog: Tip of the Week: Detroit Lions Uncaged! Tip of the Week: Detroit Lions Uncaged! The Detroit Lions will soon open their 2009 training camp. I'm going to go out on a limb and predict that the team will have a better season this year than last. Yeah, I know - I am going so far out onto that limb that I practically need a passport. Anyway, an interesting feature of this year's camp is the Detroit Lions Uncaged!. (Yes, that exclamation mark is a part of the event's name.) This event will happen on Saturday August 8 at Ford Field (2000 Brush St.). It will feature an autograph session and public practice. Tickets are free of charge to the general public and will be available at SVS Vision Optical Centers, such as the one at 18645 W. Warren Ave. in the Warrendale neighborhood. Gates will open at noon; the autograph session will last from noon-12:45 p.m. 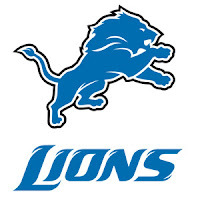 The Detroit Lions will begin their public practice at 1 p.m.
All free tickets to Detroit Lions Uncaged! include a special 30% discount offer from SVS Vision Optical Centers on one pair of glasses. More information about the Detroit Lions, their training camp and Lions Uncaged! is available on their web site. Film Discussion @ Edison: Sunset Blvd.